In March 1994, The Fédération protestante de France authorized the Fondation pasteur Eugène Bersier to find a new location for its offices in Paris, France. After evolving toward a memorial site and a museum of the Bible and of Protestantism, the project was abandoned. In 2000, unable to participate in the creation of an actual museum on the history of Protestantism, the Foundation decided, with the Historical Society of French Protestantism,  to set up a museum on the Internet: the Virtual Museum of French Protestantism, which seeks to share the specific characteristics of Protestants through the history of Protestantism. The Virtual Museum of Protestantism offers over a thousand articles, classified into four headings, illustrated by 3,000 images. 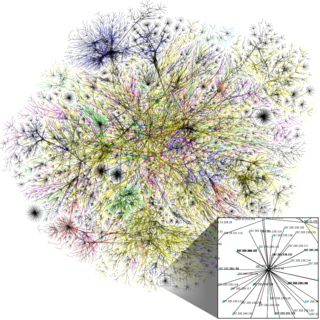 [ citation needed ] The articles are augmented with video clips, documents and bibliographic references and are accessible in French, English and German. The articles can also be organized into tours that group these articles by theme in a relevant order, similar to guided tours. On the home page, a time line illustrates the major dates of the history of Protestantism. A few exhibits that have been presented by Protestant museums are also offered with specific articles. 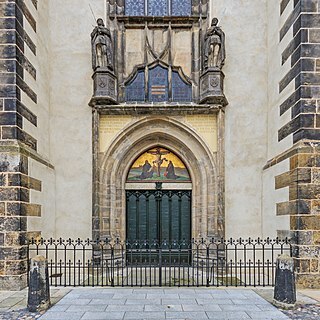 Since May 4, 2015, the Museum has offered an online tour for the class on the Protestant Reformation specially designed for French fifth form junior high school students  with adapted educational articles containing numerous audio components, images, video clips and documents designed for teachers and a learning assessment questionnaire. Camisards were Huguenots of the rugged and isolated Cévennes region, and the Vaunage in southern France. They raised an insurrection against the persecutions which followed the Revocation of the Edict of Nantes in 1685, which had made Protestantism illegal. The Camisards operated throughout the mainly Protestant Cévennes region which in the eighteenth century also included the Vaunage and the parts of the Camargue around Aigues Mortes. The revolt by the Camisards broke out in 1702, with the worst of the fighting continuing until 1704, then scattered fighting until 1710 and a final peace by 1715. The Edict of Tolerance was not finally signed until 1787. Musée des Arts Décoratifs, a museum of the decorative arts and design, located in the Palais du Louvre's western wing, known as the Pavillon de Marsan, at 107 rue de Rivoli, in the 1st arrondissement of Paris, France. It is one of three museum locations of Les Arts Décoratifs, now collectively referred to as the MAD. The Virtual Museum of New France is a virtual museum created by the Canadian Museum of History. Its purpose is to share knowledge and raise awareness of the history, culture and legacy of early French settlements in North America. Edmond Couchot is a French digital artist and art theoretician. Marguerite de Witt-Schlumberger was a French campaigner for pronatalism, alcoholic abstinence, and feminism. She was the president of the French Union for Women's Suffrage movement. She married into the Schlumberger family and became a powerfully influential matriarch and the mother of several sons who achieved notability in their own right. For her active involvement and service to the government, she was awarded the Croix of the French Legion of Honour in 1920. The Protestant Reformed Church of Alsace and Lorraine is a Reformed denomination in Alsace and Northeastern Lorraine, France. As a church body it enjoys the status as an établissement public du culte. The Musée Hergé, or Hergé Museum, is a museum in Belgium dedicated to the life and work of the Belgian cartoonist Georges Remi (1907–83), who wrote under the pen name Hergé, creator of the series of comic albums, The Adventures of Tintin. The Protestant Church of the Augsburg Confession of Alsace and Lorraine is a Lutheran church of public-law corporation status in France. The ambit of the EPCAAL comprises congregations in Alsace and the Lorrain Moselle department. The Union of Protestant Churches of Alsace and Lorraine was created in 2006 by bringing together the Protestant Church of Augsburg Confession of Alsace and Lorraine (EPCAAL] and the Protestant Reformed Church of Alsace and Lorraine. Tommy Fallot was a French pastor who is known as the founder of Social Christianity in France. Paul-Henri Marron was the first Reformed pastor in Paris following the French Revolution. Born in the Netherlands to a Huguenot family, Marron first came to Paris as the chaplain of the Dutch embassy. Protestants in France had been prohibited from worshipping openly since the Revocation of the Edict of Nantes in 1685. The Edict of Tolerance in 1787 gave non-Catholics the right to openly practice their religion. 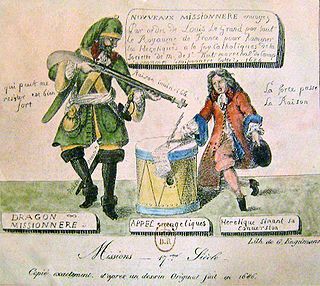 Marron was recruited to lead the newly tolerated Protestant community of Paris, a task he accomplished through the French Revolution, several imprisonments, the Napoleonic Wars, the Bourbon Restoration and into the July Monarchy. Saint-Louis-du-Louvre, formerly Saint-Thomas-du-Louvre, was a medieval church in the 1st arrondissement of Paris located just west of the original Louvre Palace. It was founded as Saint-Thomas-du-Louvre in 1187 by Robert of Dreux as a Collegiate church. It had fallen into ruin by 1739 and was rebuilt as Saint-Louis-du-Louvre in 1744. The church was suppressed in 1790 during the French Revolution and turned over the next year for use as the first building dedicated to Protestant worship in the history of Paris, a role in which it continued until its demolition in 1811 to make way for Napoleon's expansion of the Louvre. The Reformed congregation was given l'Oratoire du Louvre as a replacement and saved the choir stalls from Saint-Louis-du-Louvre which are still in place at l'Oratoire. Louis Testelin (1615-1655) was a French painter. Tullio Vinay is a Waldensian pastor and theologian, as well as an Italian politician, who was born in The Spezia on May 13, 1909 and died in Rome on September 2, 1996. Recognized as a Righteous Among the Nations and founder of two important church institutions, he is one of the leading figures of Italian Protestantism in the 20th century. ↑ "Historical Society of French Protestantism". France.